There are many different ways that people can violate this statute. We all have heard stories of individuals making bombs and setting them off to cause terror. It is easy to figure out that is prohibited; however, there are other ways that people can violate this statute that people are not aware of. Many of us have seen protesters on TV marching or rioting for some cause. As things heat up, protesters start throwing rocks and Molotov cocktails at police. An individual who creates a Molotov cocktail can be convicted of breaking this Florida statute. On top of that, Florida’s 10-20-Life rule kicks in and requires at least a 10 year minimum mandatory sentence just for possession. If it explodes, you could be facing a 20 year minimum mandatory prison sentence. See Wallace v. State. Teens that have too much free time, a “cookbook,” and are unsupervised tend to commit this crime. They might make homemade firecrackers that are way more powerful than the store bought ones and then use them to blow up mailboxes. Others make dry ice bombs, acid bombs, or some other type of chemical reaction bomb based upon word of mouth instructions or from reading online. All of these “pranks” can get you arrested and charged with violating this crime. An individual who is convicted for a “prank” won’t be laughing anymore. What the State Has to Prove to Convict You of This Crime. Attempted to do any of the above with a destructive device. A destructive device is a term used to describe a broad area of objects that explode or cause destruction such as bombs, pipe bombs, rockets, missiles, Molotov cocktails, landmines, grenades, or similar device filled with explosives, expanding gas, or explosive gas. There are some defenses that are available to individuals who are being charged with this crime. The prosecutor must prove that the “bomb” that went off was a “destructive device” as defined in Florida Statute 790.001(4). Something that was not designed to be a weapon cannot be classified as a destructive device. If the destructive device was merely a “science experiment,” then a prosecutor might have a hard time prosecuting under this crime. Florida’s 10-20-Life rule applies to this crime which means that a conviction will result in severe punishment. Anyone who merely possesses a destructive device can be punished with a minimum of 10 years in prison. If the person places the destructive device, then it is a 10 year minimum mandatory sentence. If the destructive device goes off, then it’s a 20 year minimum mandatory sentence. If the actions were being done to intentionally harm a person or a piece of property or if the device causes a disruption in government operations, commerce, or private activities of other individuals, then the individual has committed a first-degree felony that is punishable up to 30 years in prison and a $10,000 fine. If they intentionally place or throw a destructive device to harm person or property, then it is a 10 year minimum mandatory and a 20 year mandatory prison sentence if it goes off. If the device goes off and causes serious physical injury to another person or property damage, the individual commits a life felony that is punishable up to life in prison. The minimum mandatory sentence will be 25years. If the device kills someone, the defendant has committed a capital felony which is punishable with life in prison or the death penalty. 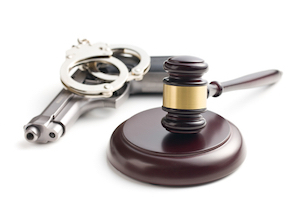 If you are being charged with crime, it is important you contact our attorneys for help. We focus on criminal cases and serve the South Florida by providing professional, competent, and aggressive criminal defense.